Novemb3r linen, regular fit, collared shirt in 'sand' colour, 'Cinnamon'. 7 button fastening. 2 button cuffs. 2 military style chest pockets with flaps and button fastenings. 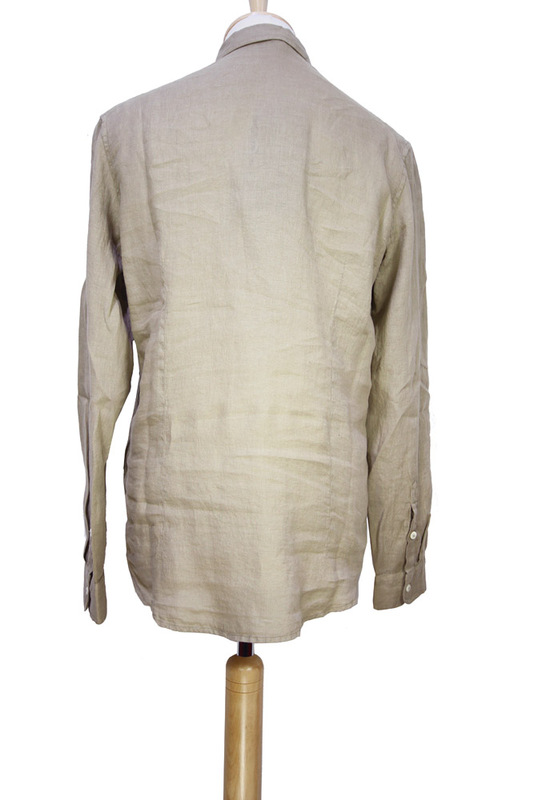 A beautifully stylish Summer shirt in a great linen fabric.